Quant and Verbal sections are randomly ordered after Analytical Writing (AW), which always comes first. As a result, you could have two Quant sections in a row or a Quant section followed by a Verbal section (and so on). During the GRE, you’ll have access to both scratch paper and an on-screen calculator, which contains basic functions such as addition, subtraction, multiplication, division, and square roots. You are not required to use the calculator for GRE math but may if you need to. Once you finish the test, you’ll get to see your (unofficial) scores. Quant is scored the same way as Verbal: both sections use a scale of 130-170 in 1-point increments. Currently, the average Quant score is 153. Multiple choice (one answer choice): This is your basic question type with four answer choices to choose from and one correct answer. Multiple choice (one or more answer choices): These questions are similar to the standard multiple-choice questions above except that you can choose more than one answer choice. Numeric Entry: This type doesn’t give you any answer choices to choose from, making it one of the most difficult question types on the GRE. Data Interpretation: This isn’t really a separate question type; rather, it refers to any math questions that revolve around one set of data. Next, we’ll teach you how to study for GRE math and get the score you want on test day. Studying for GRE math can be difficult if you’re not sure where to start. In this section, we give you step-by-step instructions to help you make the most of your GRE math study plan. First off, you’ll need to get used to the structure of Quant. You won’t do well on test day if you’re unfamiliar with how Quant works, so take time to go over important features of the section, including what type of math it tests, how many questions it has, what types of questions it has, and how much time you’ll get. We gave you a brief overview of the Quant section above. For an even more comprehensive summary, however, check out our GRE math review. I also suggest browsing official sample Quant questions to see what the different question types look like. Next, you’ll need to figure out how high you’re aiming. There’s a big difference between trying to score 150 and 165 on Quant, so you’ll need to set a Quant goal score that’s right for you. A goal score is the score most likely to get you into all of the schools you’re applying to. In other words, you’ll need to get a Quant score high enough for admission to all of your schools. Our guide to a good Quant score explains how to set a goal score in more detail. 1. Make a chart listing all of your schools. Here’s a blank one you can download (with a column for Verbal scores as well). 2. Look up GRE score information for each of your schools. The best way to do this is to search for “[School Name] [Program Name] GRE scores” on Google. Look for links to your school’s official website to get the most accurate information for your program. Types of GRE scores you might find include average scores, required scores, and recommended scores. 3. Choose the highest score in your chart and add 2 points to it. Once you’ve compiled GRE score info for all of the schools in your chart, look for the highest Quant score and add 2 points to it to get your goal score. Get this score, and you’ll have a great shot at getting into all of your schools! Now, it’s time to find your Quant baseline score. This score is essentially the opposite of your Quant goal score; it’s the score you start with before studying for the GRE. To find your baseline score, take an official GRE practice test. I recommend using PowerPrep, a free software containing two full-length practice tests. These tests are extremely similar to the real GRE, from the interface to the content, making them the best practice tests out there for GRE prep. Choose a PowerPrep test to take as your baseline test (and save the other one for later to check your progress). As you take it, try to recreate a real testing environment: find a quiet place, gather scratch paper, and avoid pausing the test or taking any unscheduled breaks. When finished, write down your Quant and Verbal scores. The Quant score you get will be your baseline score—that is, your starting point for your GRE math study plan! 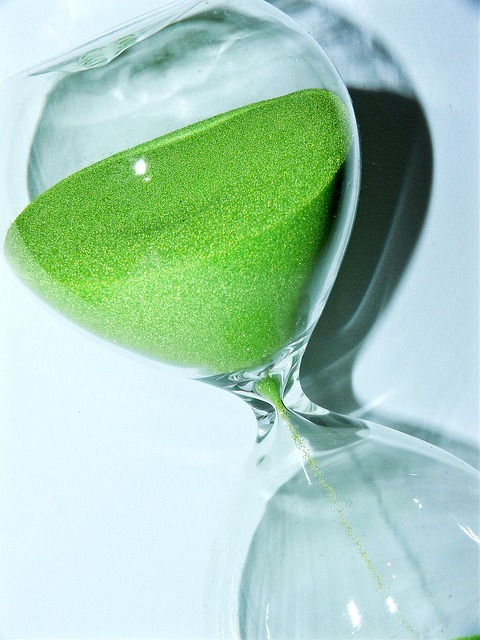 Use an hourglass if you don’t have access to a clock when calculating study hours. In this step, you’ll use your baseline and goal scores to figure out the number of hours you’ll need to study for GRE math. For example, let’s say my Quant baseline score is 150, and my goal score is 158. I follow the instructions above and subtract my baseline score from my goal score to get 8. According to our estimates, an 8-point improvement means I’d have to study Quant for about 80 hours. You can use these same estimates for your Verbal baseline and goal scores as well. For example, if I wanted to get 160 on Verbal but was currently scoring 155, I could make a 5-point improvement by studying Verbal for about 40 hours. This number, combined with my 80 hours of Quant prep, means I’ll be studying 120 total hours for the GRE. No matter how many hours you need to study for Quant, you’ll want to develop a GRE study plan that lets you fit in enough time for Quant (and Verbal) prep, avoid overwhelming yourself, and hit your goal score. Ultimately, though, how intensive your study plan is depends on how many hours you need to study and how long you have until test day. As you create your study plan, remember that the more hours you have, the more time you should give yourself before your test date. It’s generally best to prep for at least three to six months. You can then use this time to roughly calculate how many hours per week you should study. In my example above, I had 120 hours of GRE prep to do. If I had three months before my test date, I’d have to study about 10 hours a week (which is a fairly intensive plan). But if I had more time—say, six months—I’d study only about five hours a week. By far the best resources to use when studying GRE math are official ones (i.e., those created by ETS). These materials are guaranteed to offer relevant content and authentic GRE-style questions. Certain unofficial resources, too, can be helpful for content review if they are high quality and well reviewed. For more tips on what resources to use, check out our guide to the best GRE math study materials. GRE Math Conventions PDF: This free official PDF covers the format of the Quant section and all major math conventions it uses. I suggest starting here if it’s been a while since you studied math or if you learned math outside the US and aren’t as familiar with US math conventions. GRE Math Review PDF: Another free resource created by ETS, this robust GRE math review goes over every math topic that could possibly appear on the GRE. You’ll also get practice questions to help you master the concepts (though they don’t take the form of GRE-style questions). The Official Guide to the GRE General Test: At about $25, this prep book is the one and only official GRE guide. It contains descriptions of the Quant and Verbal sections, four full-length practice tests (two of which are the same as the PowerPrep tests), hundreds of practice questions, and useful problem-solving tips for Quant. Khan Academy: This free educational website (recommended by ETS!) offers tons of math tutorial videos to teach various key concepts from scratch. Though the videos don’t directly relate to the GRE, ETS maintains a list of the videos that cover the math tested on Quant. Manhattan Prep GRE Strategy Guides: An unofficial, albeit excellent, resource for GRE math prep, Manhattan Prep’s strategy guides cover the fundamentals of algebra, fractions and decimals, geometry, number properties, Quantitative Comparisons, Data Interpretation sets, and word problems. Each guide costs about $12-15. 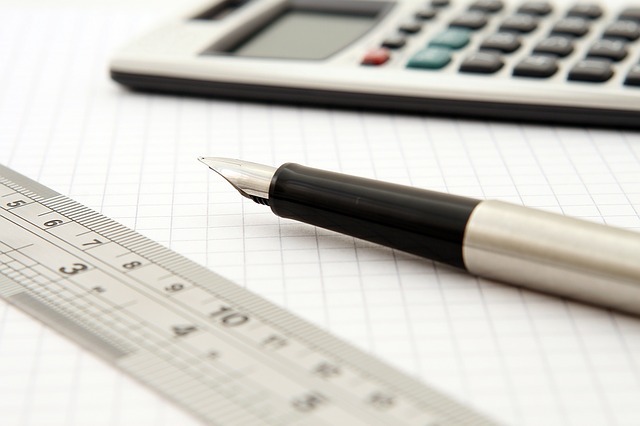 GRE Math Cheat Sheet: The 38 Formulas You Must Know: Formulas are key to doing well on Quant. This guide introduces to you the top laws and formulas you’ll need to know to be able to solve a variety of math problems on test day. Complete GRE Geometry Review: Problems and Practice: Our geometry guide takes you through all major types of geometry tested on the GRE and gives you examples and formulas. Expert GRE Probability Review: Formulas, Tips, and Practice: Probability isn’t a huge part of Quant but still a concept you should know. Read our guide to learn what probability is as well as how to approach and practice it. 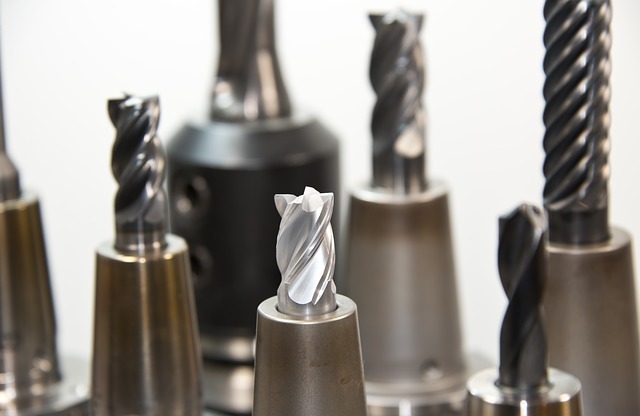 Drill questions—literally. Especially obnoxious word problems. While studying for GRE math, take time to test out what you’ve learned using high-quality practice questions. 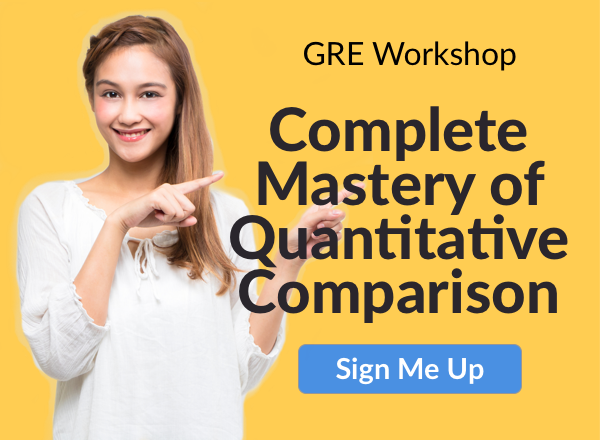 As you already know, official GRE resources offer the best and most realistic Quant practice since their questions are created by the same people who make the questions for the test. You can also use unofficial resources, as long as the Quant questions in them are similar to those on the GRE. GRE practice test PDFs (2010-2012 and 2012-present): These official paper practice tests offer numerous realistic Quant questions. Because the tests overlap a lot with the PowerPrep tests, though, it’s best to dig into these PDFs for additional math practice. Old GRE practice test PDF (pre-2010): This official paper practice test uses the old (out of 800) scoring system and format of the GRE, so I suggest using it purely for extra math practice. Most of the Quant questions on it are still relevant—just make sure to skip questions 25 on sections 3 and 5. Official GRE Quantitative Reasoning Practice Questions: Costing about $15, this official resource offers 150 additional math questions not available online or in The Official Guide. Definitely get this book if you prefer official practice over unofficial practice. Manhattan Prep’s 5 lb. Book of GRE Practice Problems: This unofficial prep book costs about $20 and offers an insane amount of GRE math practice questions that are extremely high quality. With this book, you not only get more than 800 Quant questions but also detailed answer explanations and math quizzes. Now, it’s time to brush up on your math strategies. Strategies allow you to study more effectively, move through questions more quickly, and have a better chance of getting questions right. Re-solve incorrect questions: You won’t get much out of your practice questions if you’re not learning from your mistakes. As you practice, try to re-solve any questions you get wrong before reading the answer explanations. If you get stuck, look at the correct answer and use it to guide your approach. Ultimately, your goal is to understand why you got a question wrong so that you can avoid making the same error on test day. When in doubt, plug in numbers and answers: With these strategies, you’ll either plug in answer choices (usually starting with the middle value) and see if the math works, or you’ll plug in a random number to see if the equation or inequality holds true. Typically, you’ll plug in numbers on Quantitative Comparisons and Numeric Entry questions, and plug in answers on multiple-choice questions. Use your scratch paper: You’ll get scratch paper to use throughout the GRE, but you absolutely must use it on Quant if you’re hoping to get a high score. Our guide goes over the most important ways you can use it on GRE math. Know how to use the on-screen calculator: Most people are used to using physical calculators, but the GRE gives you an on-screen calculator instead. Get used to the functions of the GRE calculator and learn when and how to use it. Pace yourself: On average, you’ll have one minute and 45 seconds per Quant question. While some will certainly take less or more time than this, try to stick to a general pace so that you don’t fall too far behind. Skip difficult questions and return to them later: This lets you spend less time focusing on questions you might not be able to solve and more on those you can solve. Once you finish a Quant section, go back to rework the questions you skipped (or to try plugging in numbers/answers). Use the process of elimination: If you can’t figure out an answer to a multiple-choice question, try figuring out what’s definitely not the correct answer. You might be able to narrow down your choices if you have an idea of the range of numbers an answer should fall within. Answer all math questions: No matter how difficult math might be for you, try to answer all of the Quant questions anyway, even if you have to guess. You don’t lose any points on the GRE for incorrect answers, so you’ll have a better shot at hitting your goal score if you put something down. So far you’ve reviewed math content, memorized formulas, drilled practice questions, and learned major Quant strategies. It’s now time to check that you’re getting closer to hitting your Quant goal score. Take another full-length practice test (as you did to get your baseline score). Take the second PowerPrep test since this is the most accurate GRE practice test out there. As you take it, try to copy the atmosphere of the real GRE: take it in a quiet room without distractions and time yourself accordingly. When finished, record your Verbal and Quant scores and compare your Quant score to your baseline score. Did you improve? If so, by how many points? How close are you to hitting your goal score now? Use this test to see what kinds of skills and topics you need to study more to get a higher score. 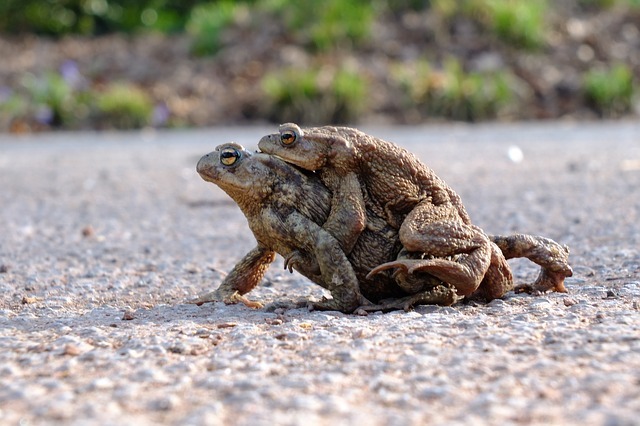 Rule #1 if you’re weak: don’t expect frogs to carry you. From this point onward, start narrowing your Quant prep. You’re no longer getting to know Quant—now, you’re getting down the math concepts that are most difficult for you. To find your weaknesses, look through your PowerPrep test and take note of which questions and question types you got wrong. Are there any patterns in your errors? Did you consistently get the geometry questions wrong? Did you run out of time and not get to every question? Carefully analyze your results, and then attack those weaknesses head-on in your prep. For example, if you’re struggling with content, review the topic and drill more practice questions. Or if the time limit is too hard for you, take more math quizzes and practice tests to practice pacing yourself. Almost done! As you study for Quant, continue working on honing your biggest math weaknesses, and take practice tests sporadically to check your progress. Unfortunately, there are only two PowerPrep tests, but you can use other official practice tests (such as those in The Official Guide) or any of the high-quality unofficial tests we recommend in our guide to GRE math prep. You know how to study for GRE math, but how can you make sure you’re prepping effectively? 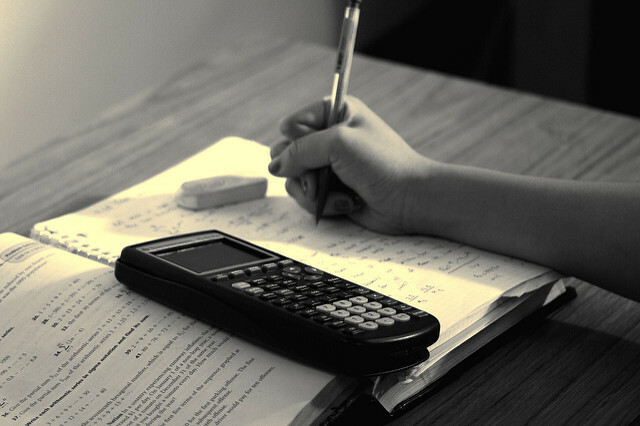 Here are four tips for getting the most out of your GRE math study sessions. This guy clearly doesn’t know how to count on his fingers. Don’t forget this tip. If you’re serious about hitting your goal score, or just getting any high Quant score, you absolutely must spend time analyzing your mistakes on practice questions. This is the best way to determine what kinds of errors you’re making in your approaches and how you can fix them to get more questions right. Analyzing doesn’t just mean reading answer explanations and moving on—it means reworking problems, trying different strategies, and learning to identify the types of questions that trip you up. Do all of this often in your prep and you’re certain to get a higher Quant score! Even math experts can make careless errors on the GRE! As you study math, get in the habit of closely reading all questions. Even though you might feel pressed for time, it’s important to understand exactly what you’re being asked to do or you might end up solving for the wrong number! Read each answer choice closely, too. Don’t just choose the first answer that sort of sounds right or pops out to you before the others. Remember, the GRE likes to trick you, so always read each answer choice first before you make a decision. Therefore, as you prep, try to stay optimistic—and definitely try not to be too hard on yourself, either. Quant can be difficult, even for those who are normally strong at math. So just remember that you’re not a failure if you don’t get a question right or are having trouble with a concept you normally understand. If your practice tests reveal you’re not doing as well as you hoped you would on GRE math, take a step back, breathe, and remind yourself that you’re doing your best. With enough studying and confidence, you can get the Quant score you want—you just have to keep working hard and believe it’s possible! Not everyone does well working alone. If you’re having trouble hitting your Quant goal score or getting down certain math topics, it’s OK to reach out for help. One option is our online GRE prep course. Our program is completely customizable to suit your study needs and even comes with a 7+ point guarantee so that you can be sure you’re on your way to getting your goal score! Another option is to hire a GRE tutor, preferably someone who specializes in GRE math. This way you can get focused guidance and have someone to turn to if you have specific questions or need help honing certain skills. Cheesy but relevant message to take away from this article! The Quantitative Reasoning section is a big part of the GRE, and your Quant score will likely be pretty important to schools, especially if you’re entering a math-related field. Therefore, it’s important to do everything you can to hit your Quant goal score on test day. Start by learning the Quant format and getting your baseline and goal scores. Once you’ve got a solid study plan, begin reviewing key math topics, memorizing formulas, drilling practice questions, and learning strategies. Around the middle of your prep, check your progress with a full-length practice test to see how many points you’ve improved by (and how far you still have to go). Then, as you near the end of your study plan, target your weaknesses by drilling more practice questions, reviewing difficult math topics, and honing strategies. Keep analyzing your mistakes to help you understand what you’re getting wrong and how you can avoid making these same errors on test day. Read questions and answer choices closely to avoid careless errors. 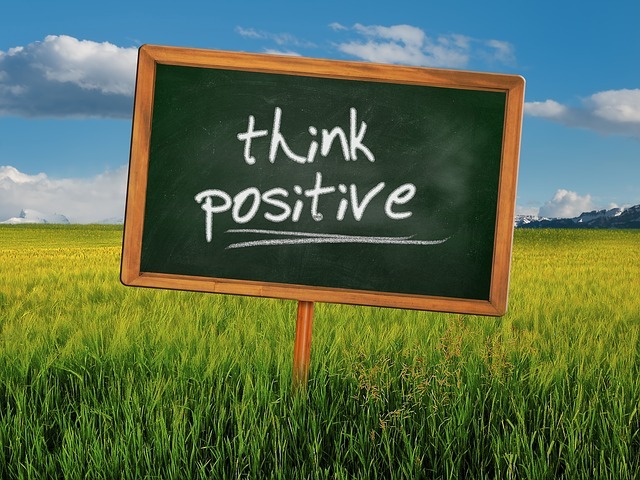 Stay optimistic, even if you’re not scoring where you want to just yet. Get help if you need it—there’s no shame in taking a prep course or getting a tutor! 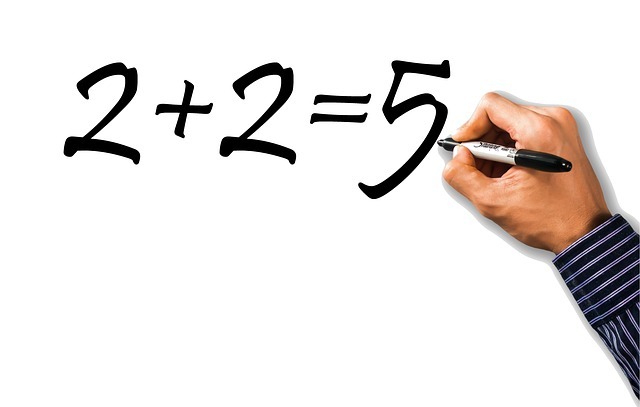 You know how to study for GRE math, but how can you ensure you’ll get a high score on it? Read our guide on how to ace GRE Quant to learn the 22 expert tips and tricks for getting a perfect 170. Need resources for GRE math? Check out our picks for the top 18 resources for Quant prep, and get tips on how to use your math resources in our guide to the best GRE math practice. Want study help with Verbal, too? We’ve got a separate guide on how to study for GRE Verbal (coming soon)!